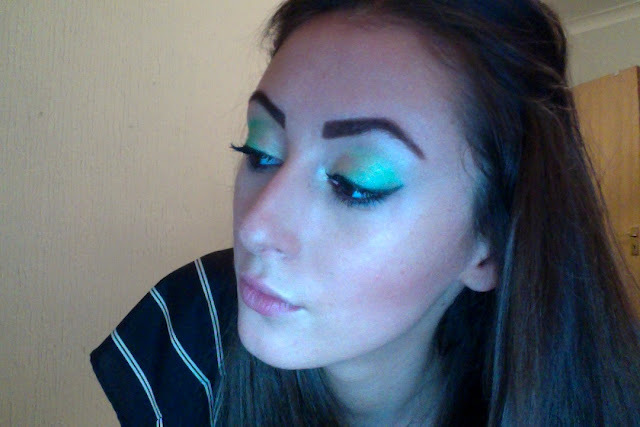 Im currently in love with the colour emerald green and predicting it to be a hot colour for this Spring/ Summer 13. The eyes shadow has a golden glow because of Mac "Gorgeous Gold" was used for first base eye shadow. Urban Decay "Graffiti" shadow was then blended into the gold. To complement the warm tones in the eye shadow I'v chose the Topshop "OHH LA LA" lipstick. 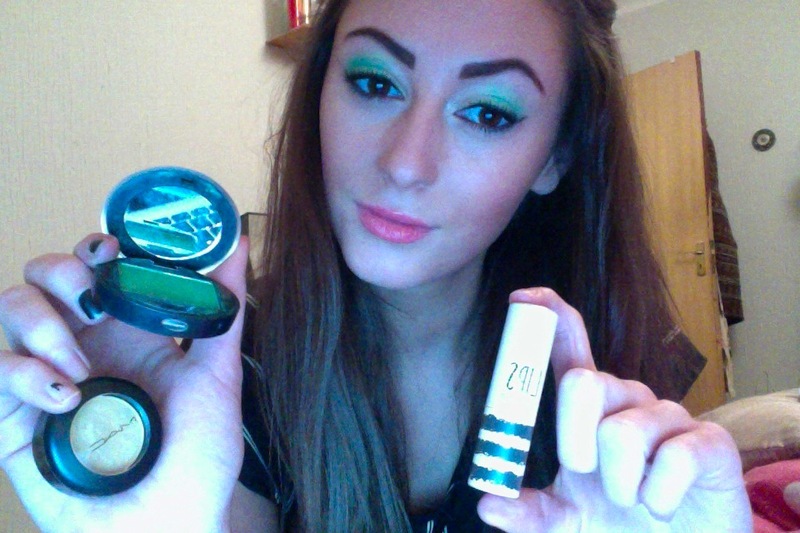 This lipstick is one of my favourites and I wear on day-to-day basis.